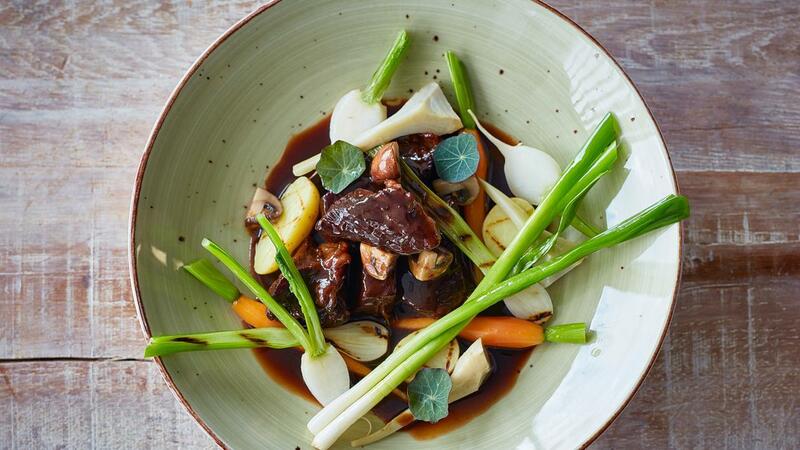 Beef Bourguignon can be described as the most widely known of all French preparations. Add dark chocolate as the new style and make the dish more delicious. Cut the beef in equal parts 2 cmX 2 cm and season with pepper and salt. Bring the meat back in the sauce.